Register and attend the 2017 National Advocacy Summit! What is the Summit? : At a time when access to healthcare is a priority for every American, our combined voices will help ensure that the fight against lung cancer remains a priority among our national policymakers. You will come together with others impacted by lung cancer to learn how to effectively share your story and educate Members of Congress about the disparities that exist for lung cancer. You will receive hands-on training with distinct calls to action to ensure increased research funding and better and affordable healthcare for all. Who Should Come? : We need patients, survivors, caregivers and loved ones from across the country to join us in Washington, DC and make your voice heard in our unwavering commitment to fight lung cancer. No prior experience is needed, just your story. 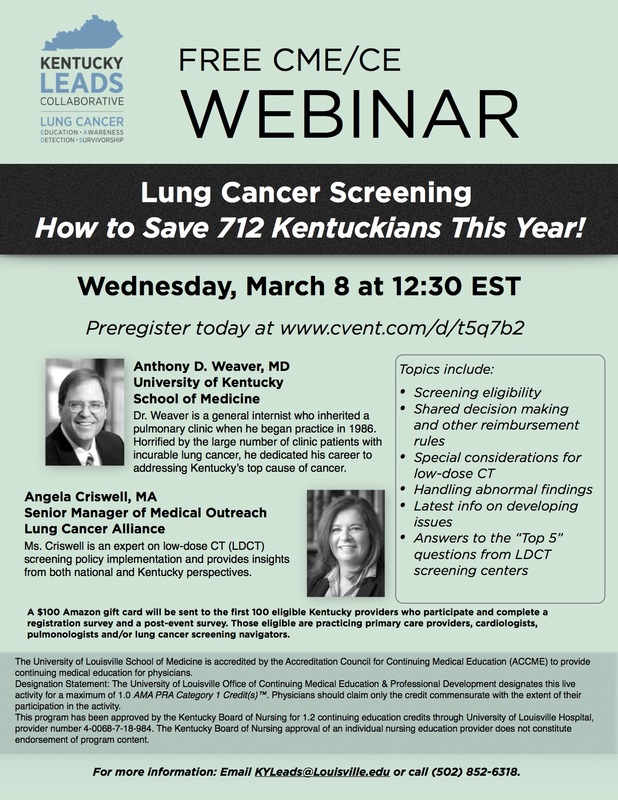 A March 8 webinar titled “Lung Cancer Screening: How to Save 712 Kentuckians This Year!” will focus on lung cancer screening, including patient eligibility, and conducting shared decision making, as well as recent updates. The 12:30 p.m. EST state-wide webinar will feature a presentation by Anthony Weaver, M.D., of the University of Kentucky College of Medicine, who will discuss a host of issues related to low-dose computed tomography (LDCT) lung cancer screening in Kentucky. Webinar participants will have the opportunity to ask questions of Weaver and screening policy expert Angela Criswell of Lung Cancer Alliance. The webinar is a CME/CE offering of Kentucky LEADS Collaborative at the University of Louisville. A $100 Amazon gift card will be sent to the first 100 eligible Kentucky providers who participate and complete a registration survey and a post-event survey. Those eligible are practicing primary care providers, cardiologists, pulmonologists and/or lung cancer screening navigators. For more information call (502) 852-6318. November is Lung Cancer Awareness Month! 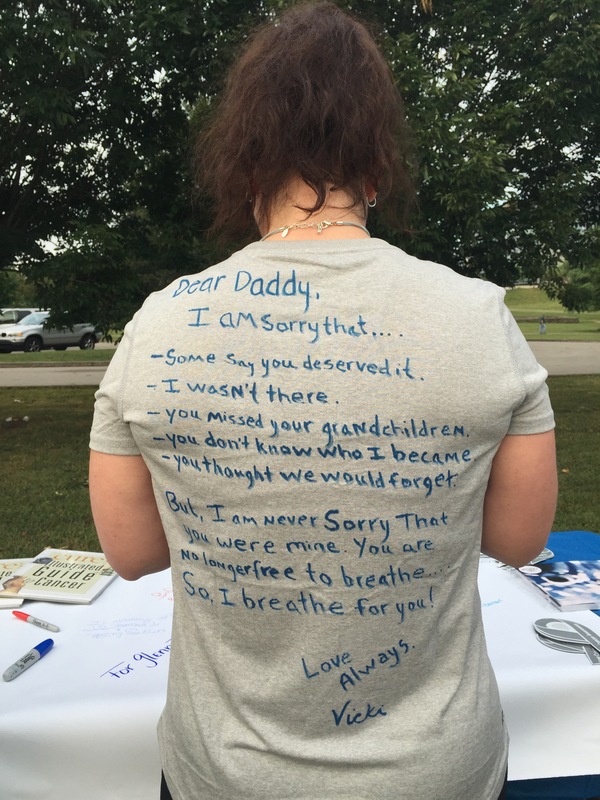 Below is a list of events and activities happening across Kentucky to raise lung cancer awareness, provided by the Kentucky Cancer Consortium’s Lung Cancer Network. We hope to see you at some events! More information in another event post below. Join us for the Central Kentucky Free to Breathe 6th Annual Lung Cancer 5k Run/Walk and 1-mile Walk! SUNDAY, NOVEMBER 6, 2016 | 1:40 P.M.
You can help double lung cancer survival! By participating and choosing to fundraise, you’re helping us raise awareness and fund vital research programs dedicated to doubling lung cancer survival by 2022. Help build the movement! Form a Free to Breathe team and ask friends, family members, neighbors and coworkers to join you. Register online here, and download pledge and donation forms here. Join TEAM KY LEADS here! Entry into the 5K run/walk or 1-mile walk, 2016 branded Free to Breathe event long sleeve shirt, refreshments and entertainment. All online and mail-in registrants who participate are guaranteed an event t-shirt. A limited quantity of t-shirts in limited sizes will be available for those registering on event day. Your registration fee counts toward your fundraising efforts and is your first step to your Hero Cape. Raise $100 and earn a Fundraising Hero Cape to wear on event day. Interested in morefundraising rewards? As a registrant, you’ll gain access to our online fundraising tools that make fundraising easy, convenient and fun as you help fund research, patient education and awareness programs through Free to Breathe. Find out how your support helps. The top three individual fundraisers and top three fundraising teams (based on totals as of 3 p.m. on November 4) will also be acknowledged on event day. Fundraising will remain open throughDecember 6. For more information and to register, visit Free to Breathe.org or click here. Shine a Light on Lung Cancer, the largest coordinated awareness event for lung cancer in the United States, provides a night of hope, inspiration, and support for those who are impacted by lung cancer, as well as an opportunity to continue to raise awareness and educate about the disease. Anyone is welcome to attend these free events. Dr. Jamie Studts, Celeste Worth, Morel Jones, and other Kentucky LEADS team members presented on Kentucky LEADS to the Regional Cancer Coordinators of the Kentucky Cancer Program at their statewide meeting in Louisville last week. The Regional Cancer Coordinators are part of the communities that LEADS serves, and are an essential part of the LEADS team! 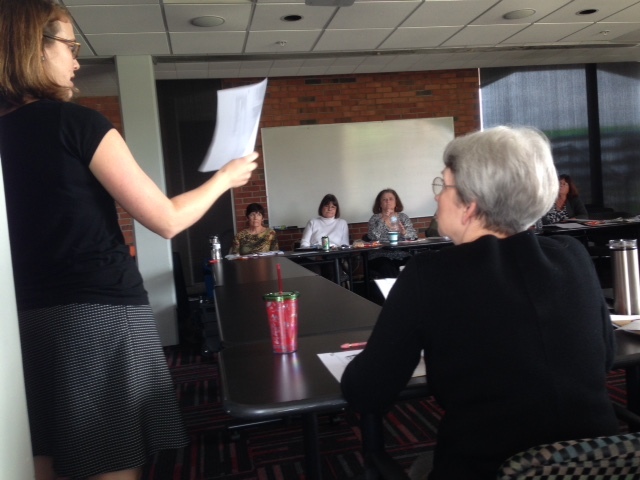 Celeste Worth presenting to the Kentucky Cancer Program Regional Cancer Coordinators. 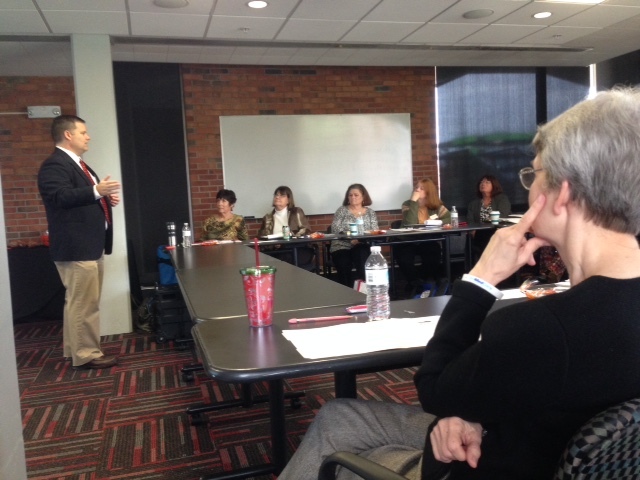 Dr. Jamie Studts speaking with Kentucky Cancer Program Regional Cancer Coordinators. 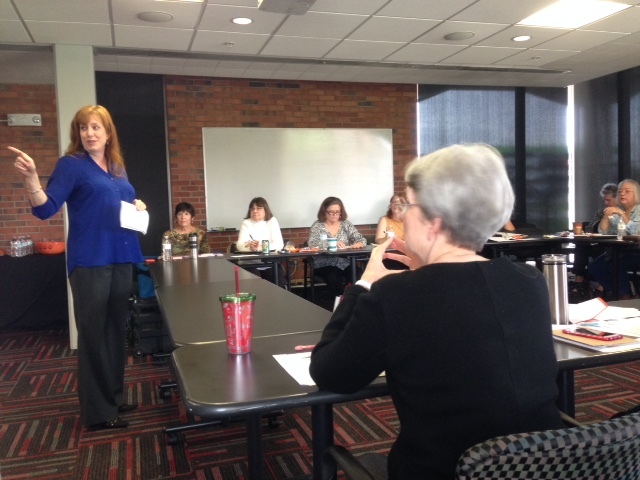 Morel Jones speaking with Regional Cancer Coordinators of the Kentucky Cancer Program. 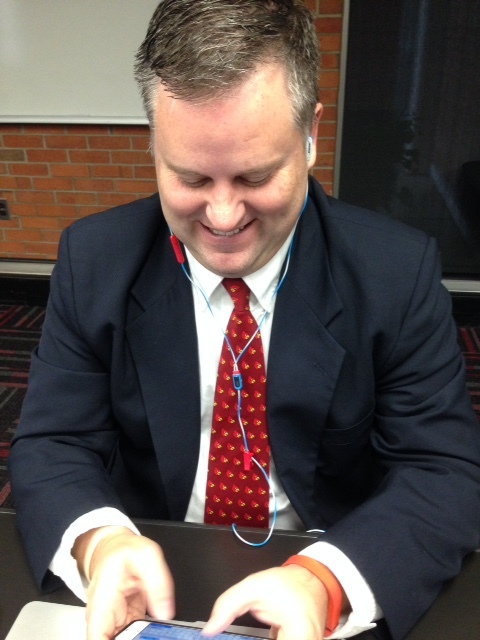 Dr. Studts of UK represents U of L by wearing his Cardinals tie! Dr. Jamie Studts and Angela Criswell of Kentucky LEADS attended Shine A Light events in Louisville and Lexington this week. The next Shine A Light event is November 12th in Somerset, KY. This free event is open to anyone touched by lung cancer. It will be one of many vigils throughout the country held in November to increase awareness of lung cancer, support lung cancer patients and caregivers, and remove the stigma of the disease. From the Lung Cancer Alliance: Shine a Light on Lung Cancer provides our amazing community with hope, inspiration and support for those impacted by lung cancer and those at risk–from survivors to the newly diagnosed to loved ones to healthcare professionals to those simply wishing to help. Please see the Shine a Light listings below to find an event near you and RSVP today! Please Note: Celebrating the strength and courage of lung cancer survivors. SEPTEMBER 12, 2015 | 8:40 A.M.
Help build the movement! Form a Free to Breathe team and ask friends, family members, neighbors and coworkers to join you. Register using the links above, and download pledge and donation forms here. What is the Kentucky LEADS Collaborative? Principal Investigator Jamie Studts, PhD explains the mission of the Collaborative in this brief video.